Physical examinations of your cat are an extremely important part of feline care. At Old Dominion Animal Hospital, our veterinarians recommend a pet check-up at least once or twice a year depending on your cat’s age and health. 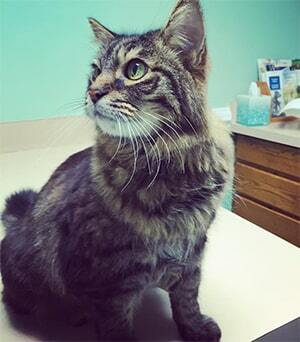 Your cat’s visit is the perfect time to update vaccinations, receive nutritional counseling, to discuss behavioral issues, and to pickup prevention products. The American Veterinary Medical Association has divided vaccines for cats into two categories: Core and Noncore vaccines. Core vaccines are a necessary part of feline care should be given to every cat, while Noncore vaccines are recommended only for certain cats in certain situations and environments. It may depend on your cat’s age, health, and the kind of exposure your cat might encounter form other cats or from the physical environment. The Core vaccines include: Rabies, Panleukopenia (Distemper), Feline Rhinotracheitis, Feline Calicivirus. Some other vaccines we might recommend include: Feline Leukemia, Feline Infectious Peritonitis, Bordetella, and Chlamydophila. Please give us a call when you get a new kitten or cat and we’ll make sure to set up a vaccination schedule that is just right for YOUR cat.